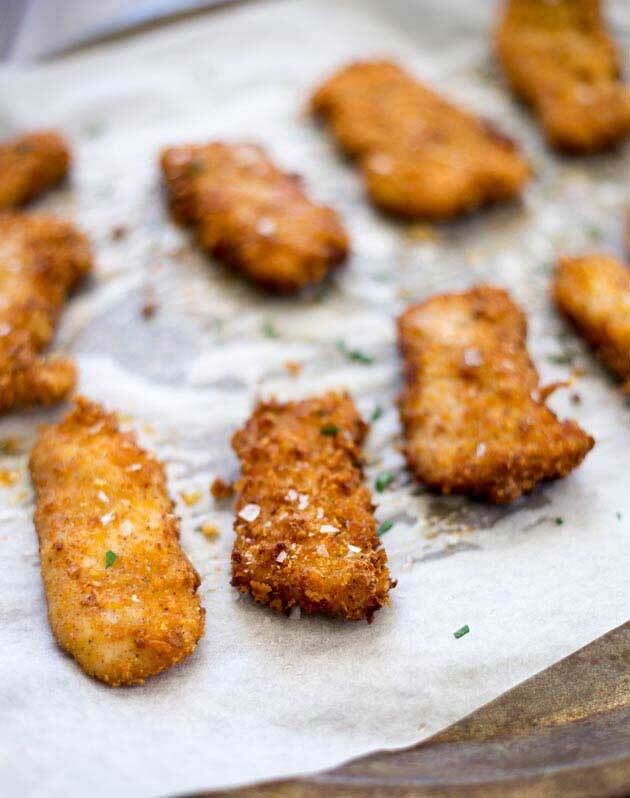 Crispy chicken tenders baked in the oven. No mess and no fuss. Suddenly breaded chicken doesn’t seen so difficult on a busy week night!!!!! I don’t know about you but I loved crispy breaded products!!! Crispy chicken tenders, panko prawns, breaded mushrooms, crispy onion rings, breaded mozzarella sticks…the list goes on and on. Sadly deep frying isn’t something you want to be doing everyday! My biggest problem is it makes the house smell all oily!!! And then there is the clean up! Oh and I guess the calories! But oven baked breaded products….often they are a bit soggy and pappy and frankly disappointing! So what if I told you, you could have crispy crispy chicken fingers all baked in the oven. Crispy chicken tenders without the deep fryer!!! Oh yes! This recipe has the added bonus of no egg, which means you don’t get all goopy and sticky when you make these. I use my secret ingredient, cornflakes in these. The different it makes to the crumb is amazing! You get wonderful crispy chicken fingers, where the crumb is crunchy and the chicken tenders are lovely and moist. 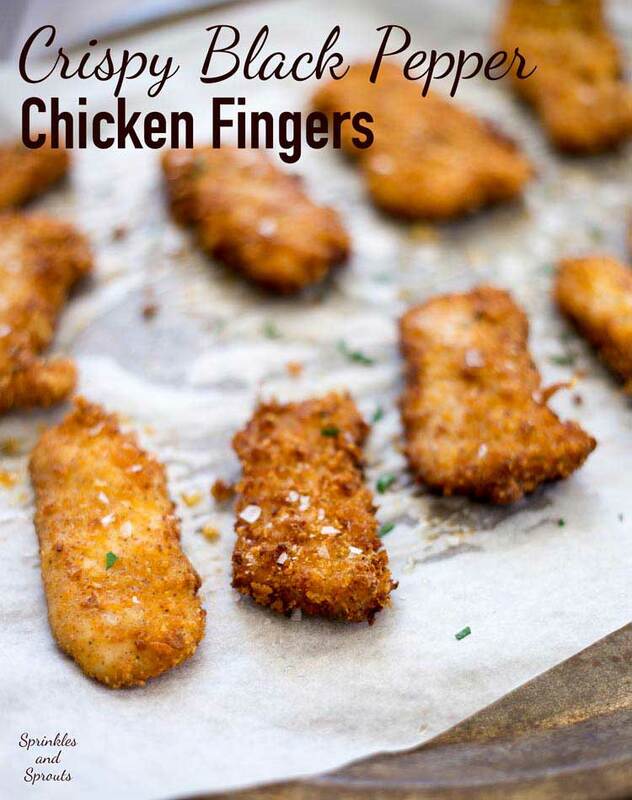 You can either use chicken tenders or buy you own chicken breast and cut them into fingers; chicken tenders work out more expensive but there is less work involved. I know our local woollies often has the free range chicken tenders on 30% off so I always stock up and get them in the deep freeze. 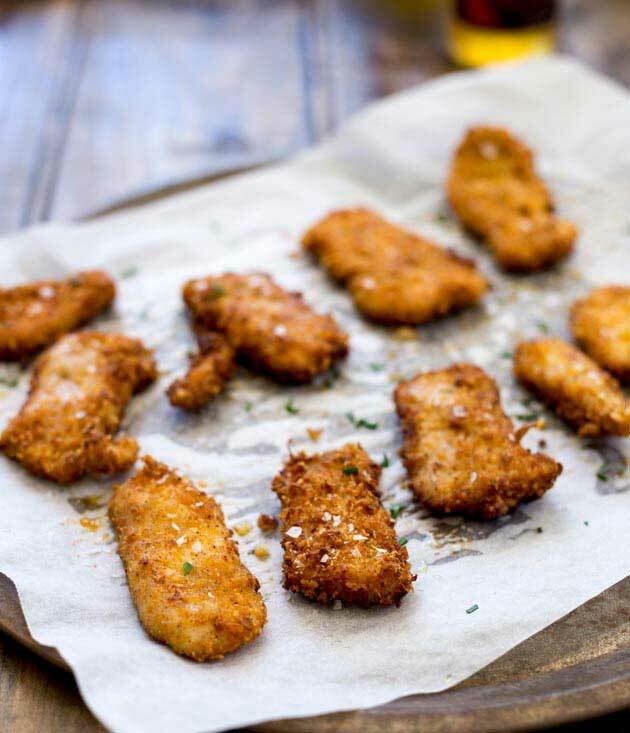 These oven baked crispy chicken tenders have plenty of black pepper in them, (hence the name 😉 ) they have a nice bite to them, but nothing too strong or spicy. My boys eat these and they are convinced they don’t like pepper unless it is on tomato salad. Even Mr 6 eats these and he is still going through his ‘I don’t like chicken’ phase!! If you love things super peppery then add extra or even a pinch of cayenne pepper. The recipe calls for a 10 minute tenderising of the chicken. This is to ensure the chicken tenders stays super juicy when it is cooked at such a high heat. You sprinkle over bi-carb (bicarbonate of soda/baking soda) and leave it for 10 minutes. then wash it off. You need to make sure you wash it off completely or the chicken will taste pretty gross! 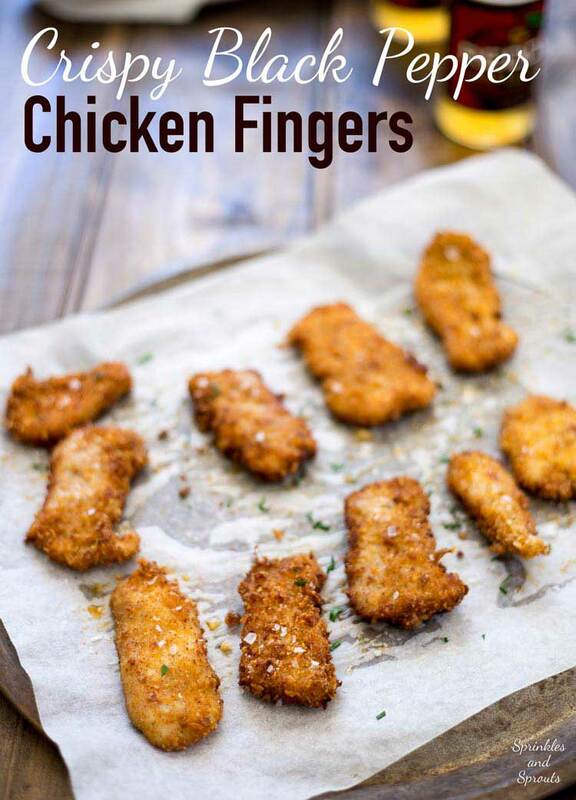 I know it seems a strange step but you will be amazed at how much it improves the juiciness of your chicken fingers. Just make sure you use bicarbonate of soda (also called baking soda) and NOT baking powder. 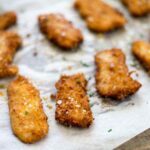 If you love this recipe for Oven Baked Crispy Black Pepper Chicken Tenders why not pin it for later. 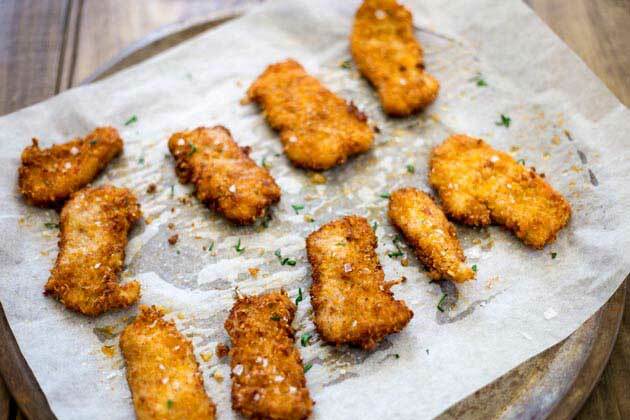 Crispy chicken tenders baked in the oven. 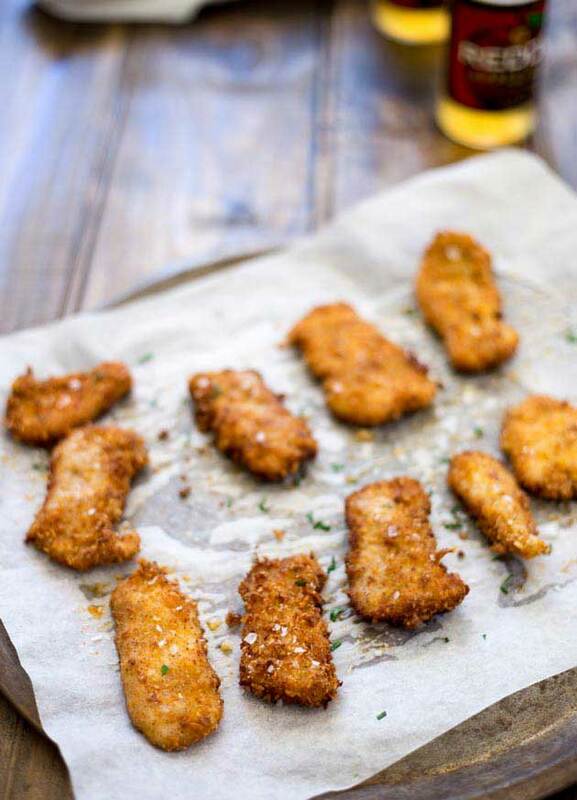 This recipe for crispy chicken tenders is perfect as there is no mess and no fuss. Suddenly breaded chicken doesn't seen so difficult on a busy week night!!! Preheat the oven to 250ºC/480ºF and place two baking trays in the oven to heat up. 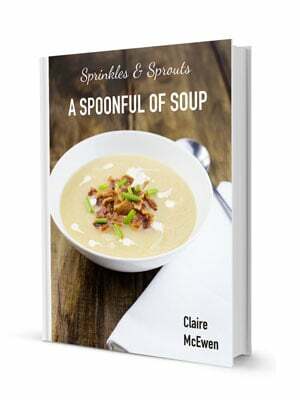 If using chicken breasts cut them into thin strips and then place the chicken into a large bowl. Sprinkle over the bicarbonate of soda and use your hands to turn the chicken so it is all coated. Leave it to tenderise for 10 minutes. Meanwhile place the corn flakes into a large ziplock bag and use a rolling pin to crush them to a fine crumb. Add the panko, flour, paprika, pepper and salt to the corn flake bag and shake well to combine. Place the bowl of chicken into the sink and wash off the bi-carb. I tend to fill the bowl with water, agitate the chicken with my hands, pour away the water and repeat several times. Ensure the bi-carb is completely washed away as it will make the chicken taste terrible if it isn't. Drain the chicken well and then add it into the bag of crumbs. They should stick nicely to the damp chicken. 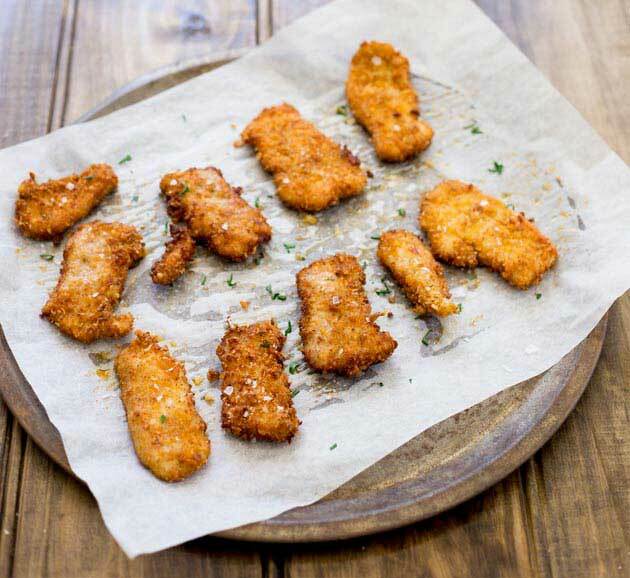 Remove the baking trays from the oven and carefully line them with cooking paper, lay the chicken pieces on the tray. Spray with a mist of olive oil and bake for 5 minutes, remove from the oven and turn each piece of chicken, give it another mist with oil and cook for a further 5 minutes or until the chicken is cooked through. This recipe calls for bicarbonate of soda which is also known as baking soda. This is not the same as baking powder. Hi Claire! I also hate frying food…it’s messy and smelly! I much prefer “oven fried” foods. I started oven frying chicken and potato wedges when my kids were small. These look delicious and perfectly crunchy! I like either blue cheese or honey mustard sauce for dipping.